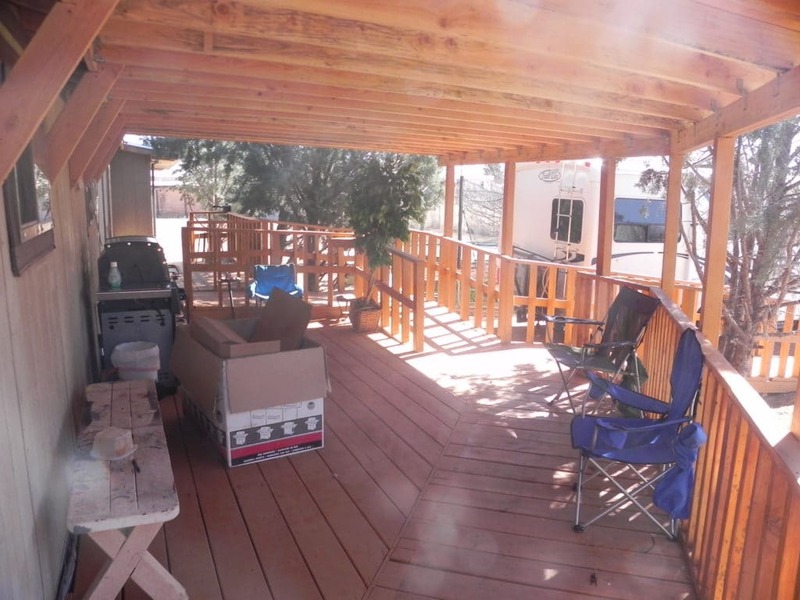 Sierra Remodeling proudly works with our Disabled Veterans to facilitate their needs! We have been working with our Disabled Veterans and the Veterans Administration (VA) for over 20 years. 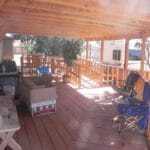 Sierra Remodeling and Home Builders is the only VA preferred vendor in Sierra Vista, Arizona for making our Disabled Veterans’ homes ADA compliant. We transform Disabled Veteran homes and, ensure maximum independence and freedom of movement within the home’s interior and exterior spaces. Living independently permits our communities’ disabled persons to remain active and depend less on others. Making your home accessible with purposeful, smart home modifications can improve your way of life and your freedom of movement and mobility within your own home. 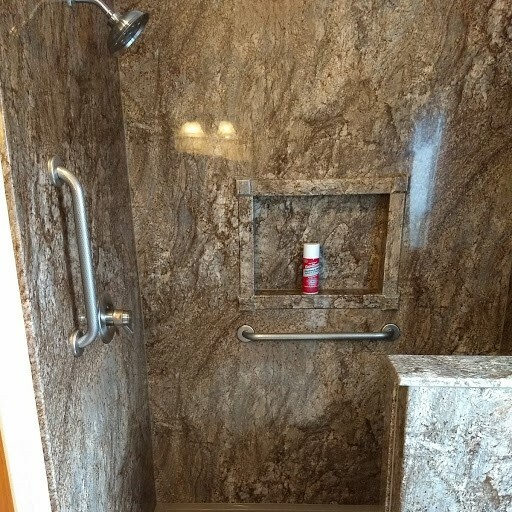 Because mobility and independence have a major impact on our quality of life, finding a contractor familiar with handicap accessible home construction is a must. At Sierra Remodeling our ADA-compliant solutions are designed to allow you to enjoy a safe and comfortable bathing experience with or without the assistance of a caregiver. 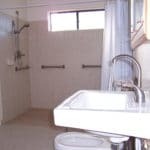 We are well versed in disabled home accommodation construction and will make your remodel hassle-free. 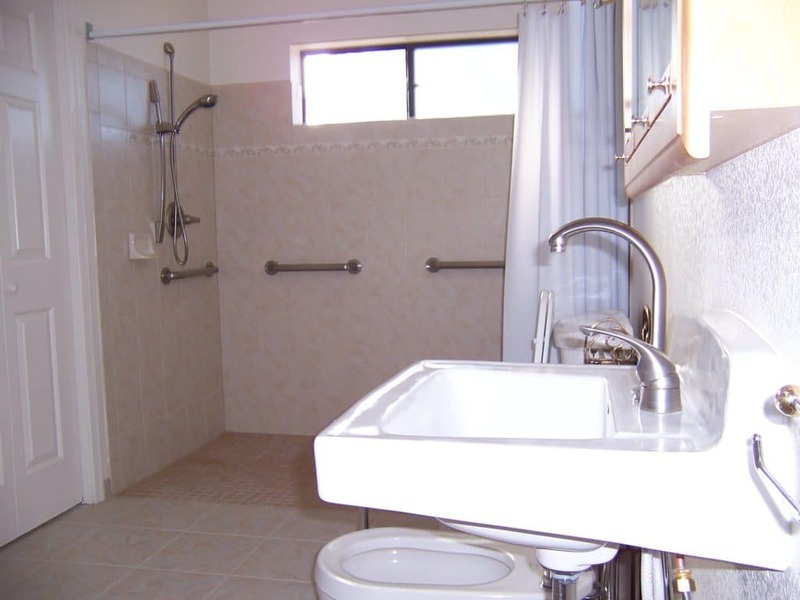 By modifying your bathroom for wheelchair accessibility you can avoid injuries. The bathroom door entryway can be modified from a standard 24″ opening to one that is 32-36″ wide. This will allow access for wheelchairs and walkers. 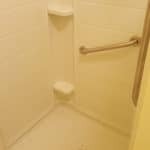 Bathtubs pose another serious risk for individuals with disabilities. 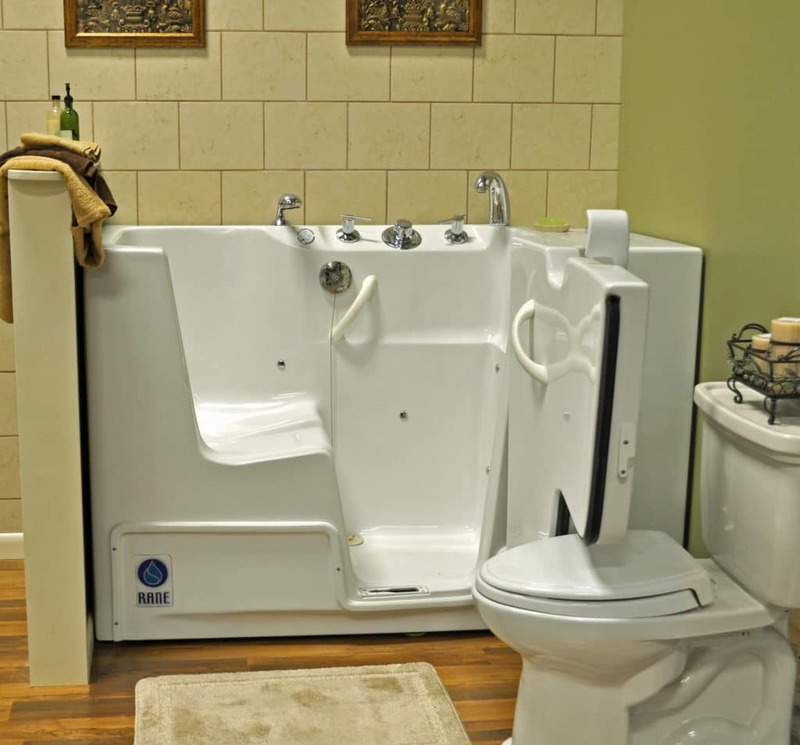 A walk-in bathtub can provide an easy alternative for people with mobility issues. 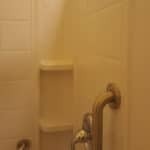 A watertight door is built into a tub to provide easy access into and out of the bathing area. 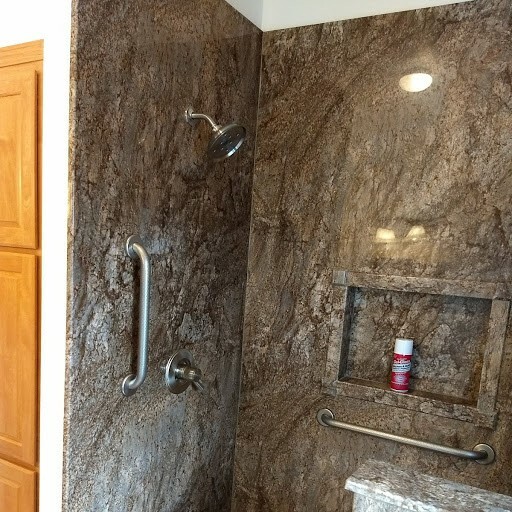 Another alternative is a walk-in shower. 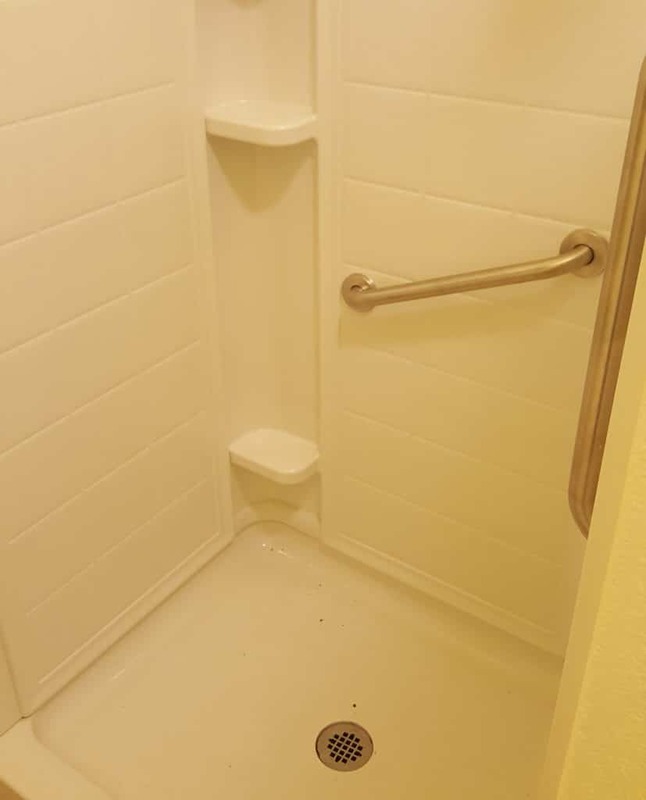 These showers can provide access to those in a wheelchair while also providing access to those who have trouble navigating over bathtub walls. This option can allow for more customization and versatility. A wheelchair accessible slide-in tub is another great feature for mobility. 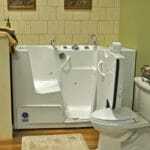 The door is oversized and lets you slide directly from the wheelchair into the tub (see photo gallery). 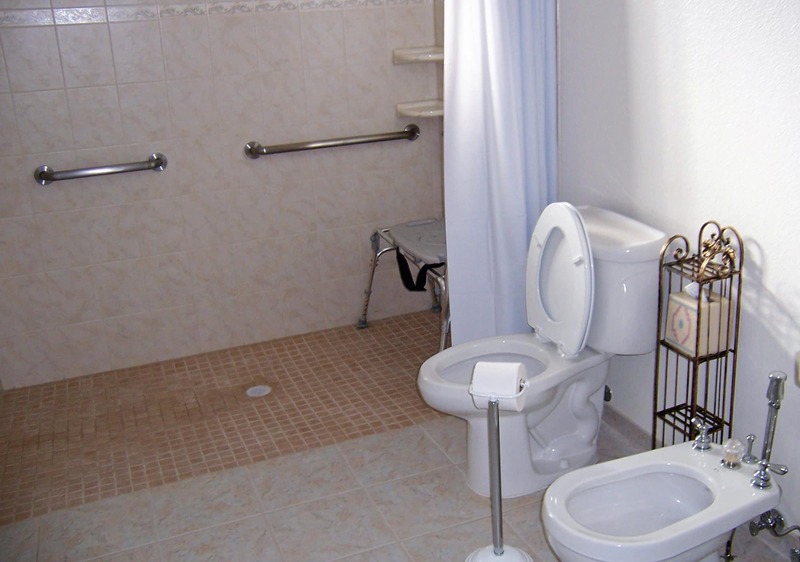 The toilet is another important consideration in designing a bathroom for people with mobility issues. 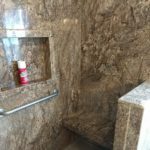 Sierra Remodeling installs ADA compliant commodes and bidet seats that make bathroom tasks easier as well. 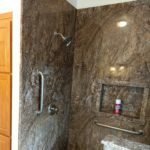 If renovating the bathroom isn’t an option, bathtub and shower grab bars can be installed to provide needed support for maneuvering around the bathroom. 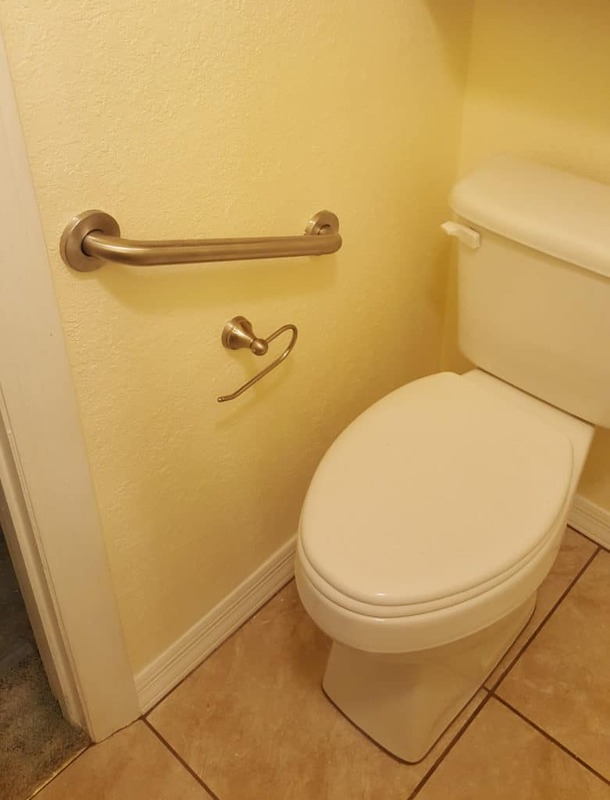 Grab bars provide added stability while either sitting or standing. When people think of grab bars they automatically think of the stainless steel models popular in commercial bathrooms. Grab bars are no longer regulated to stainless steel and, they come in an array of finishes that can match most décor. 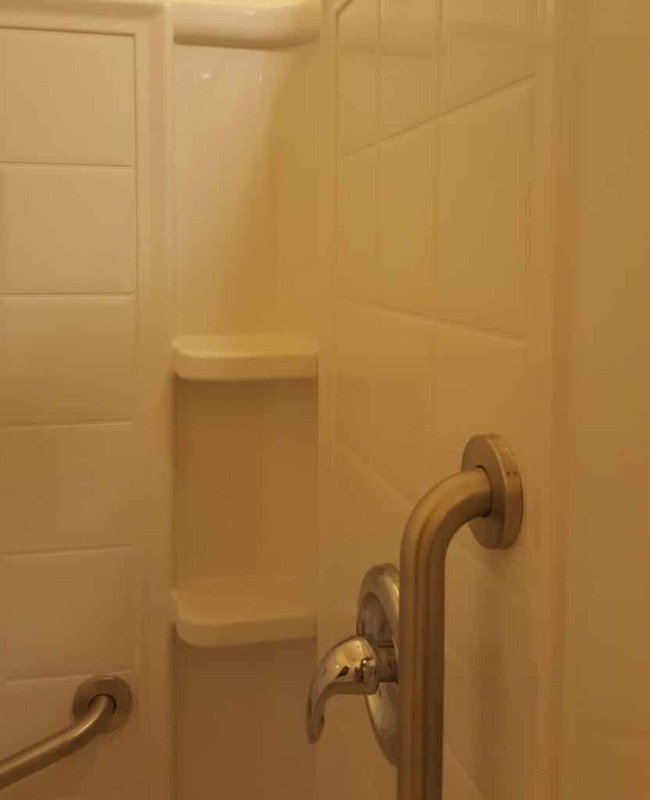 Either single or dual grab bars can be installed on either side of the toilet, shower and bathtub to provide necessary stability. A wall mounted sink will add accessibility to your bathroom by adding free space underneath the sink to allow access with a wheelchair or a bench. Installing a single handle or even an electronic or hands free faucet can ease the burden of those with dexterity issues. The kitchen is one of the most used rooms in a home. Making changes to an existing kitchen to one that is handicapped accessible will make the kitchen a safer and easier space for the entire family. Due to the nature of the kitchen a non-slip finish is the first step in making the kitchen safer. Replacing the kitchen faucet with a single lever style will make using the sink easier for people with hand and wrist limitations. A scald-guard valve can prevent burns for scalding water too. Standard height counters can be an issue for people in wheelchairs. Deciding which base cabinets can be removed will allow access to different areas of the kitchen such as the sink. Pull out drawers make all items easier to access and lift. Electric receptacles and switches can be relocated to provide easier access. Having an unobstructed work area from the sink to the stove will allow people to slide heavy pots and pans. Appliances are another consideration when modifying a home for accessibility. Lowering the location of the microwave can make it accessible by wheelchair and, the kids love it too! Cooktops and ranges should have their controls on the front or on the top front. Raising the dishwasher up off of the floor will allow access to the bottom rack. Making a home accessible doesn’t stop with just the kitchen and bathroom areas. 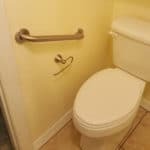 There are many ways that improvements throughout the house can make it significantly better for disabled persons. 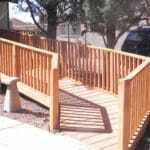 Hallways, closets, bedrooms, and entryways all can be modified to accommodate any disability. 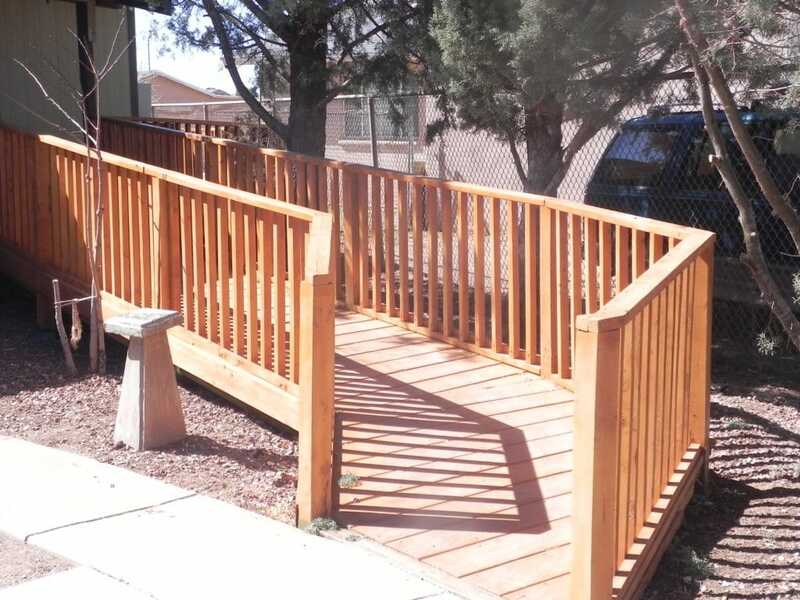 Whether it is handrails or wheelchair ramps you can make your home safer for you and your family. 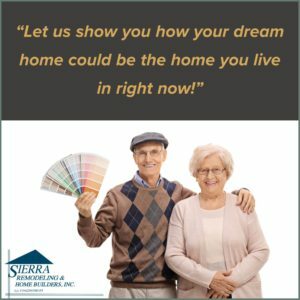 Sierra Remodeling considers your safety, independence, freedom of movement, capability to use the home’s features and satisfaction paramount. We understand that your needs are unique, so we’ll work hand-in-hand with you to identify the right safety and accessibility solutions for your home. Once we come up with a plan and design, our professional installation team can complete your project quickly and efficiently, with as little disruption as possible. Otto Richter – Otto worked closely with us making knowledgeable recommendations and modifying our sketches several times as we selected woods, colors, and finishes. He did an especially outstanding job in designing a non-standard accent cabinet that fits the available space and looks great. He is easy to work with and provides a clear and concise proposal/contract. Bruce Sponcey – Bruce was the primary installer. We believe that due to his expertise and attention to detail we have an excellent cabinet installation. 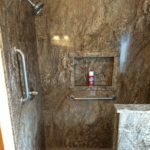 In addition to the normal installation and trimming of the cabinets our installation required enlarging both openings in the oven cabinet and extensive customizing for the accent cabinet. All efforts were expertly accomplished. He too, is easy to work with, he is punctual, and he has an outstanding work ethic. Both of these individuals were interested in providing the best installation possible and are commendable representatives of your company. Doing business with your company through these individuals has been a pleasure and we highly recommend you to our friends and neighbors. ― Kenneth and Louise P.